Not too long ago, the Daily News ran a story about how the makers of Excedrin created a device that recreates a virtual migraine headache for anyone who wears it. They called it the “Migraine Experience”. Excedrin even began running a commercial spot on prime-time TV. It’s an interesting and insightful experience, especially for people who have never suffered from a migraine. Take note of the guy who said he would never question his wife again when she complains with a migraine. This got me thinking. Is there an “Anti-Migraine Experience?” What if there was some way for people who suffer from migraines to have the experience of being pain free, not having distorted vision, vertigo, nausea, and sound and light sensitivity? What if there was some magical device that could eliminate the need for daily Excedrin, or more powerful medications like Imitrex, Relpax, or even steroids? What if there was such a device? How fast would you flock to it if you suffered from migraines? Well, I’m here to tell you that there is such a device…It’s an acupuncture needle. That’s right. A few simple acupuncture needles can make a world of difference in the lives of people suffering from migraines. And not just migraines, but any type of headache, including tension/stress headaches, sinus headaches, and even TMJ pain. Headaches are a frequent symptom for millions of people and actually represent the most common form of neurological disorder. Headaches are not just a big pain in the neck…or head…if you will, but can adversely affect many daily functions, including sleep, exercise, and even the ability to work. And often, headaches can be severe enough to cause nausea, vomiting, dizziness, and balance issues. The results can be quite dramatic and I encourage anyone who suffers from frequent headaches to try “The Anti-Migraine Experience” and feel the difference first hand. 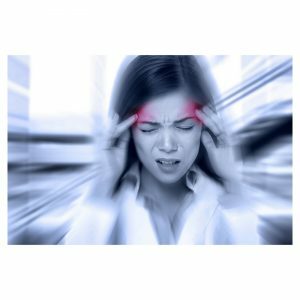 – According to www.migraine.com, migraine headaches account for nearly 75 million missed days of work and upwards of $17 billion in lost productivity!